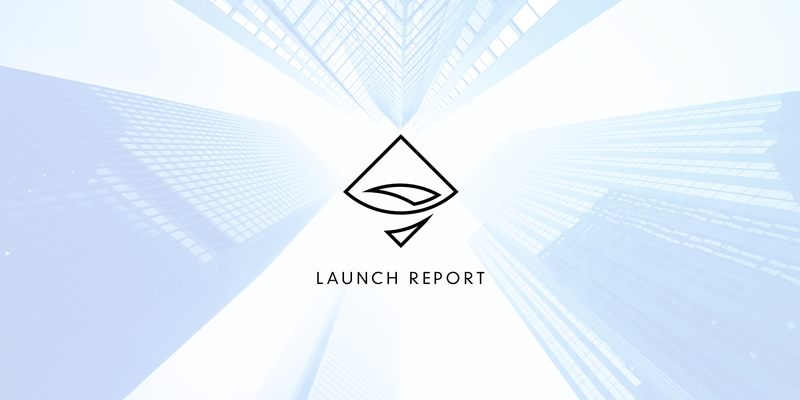 The AirSwap Token (AST) launch is complete. 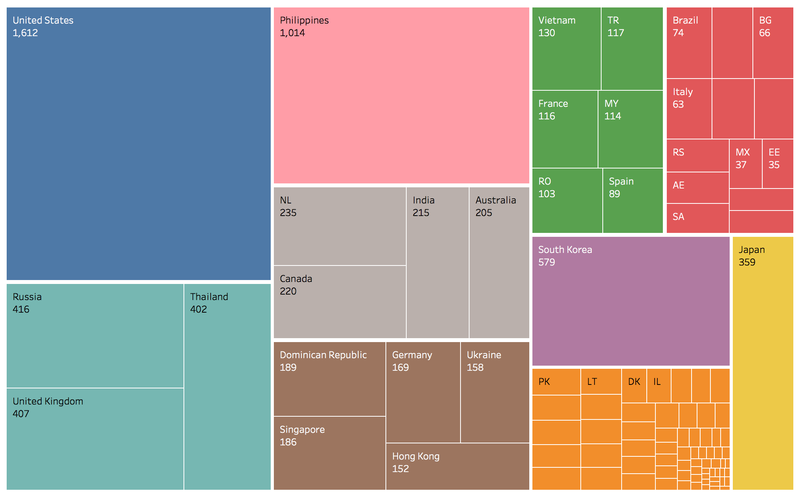 We distributed our full allocation of 150M AST for 119,511.44 ETH. We thank the global crypto community for believing in our platform, working through this new process with us, and for the continued support. Welcome to AirSwap. We sold 150M of a supply of 500M AST. At the time of sale, proceeds were valued around 36M USD. The following token amounts were distributed through each of four sales: a pre-sale, beta tester sale, main sale, and the L(AST) chance sale. At the very beginning of the day on October 10th, we kicked off the beta tester sale. This was a sale for members of our beta tester group as a thanks for their support, which included a 20% discount. We only ran it for a few hours prior to the main sale, so we re-opened it on October 12th to allow the rest of the betas a chance to participate. After 9,447 buyers participated in the main sale, there was a remainder of 11.9M AST available for purchase. We sold this amount without an individual cap in the L(AST) chance sale on October 11th at 10:10:10AM ET. 85% sold out in the first minute, and the rest was sold over the course of 15 minutes. There is evidence that a significant number of orders were requested and filled programmatically. There were over 16,000 active sessions established at the opening of the last chance sale. We’ll follow on later with a more detailed technical report. In order to protect the project, the community, and the world around us, we chose to run a KYC process that we referred to as the whitelist. We had two checks in place, one to check country, and another to check against international watch lists. We were unable to include Chinese and North Korean nationals in our sale. We scheduled the registration process to run from Wednesday, October 4th at to Friday, October 6th at 4:00PM ET. However, after the first 24 hours, we realized that submissions were growing too quickly for us to be able to process them before starting the sale the following Tuesday. We were forced to pull the plug and landed on the following participation numbers. We were able to determine the ages of our registrants based on their government-issued IDs, the average age being 33.73 years old. 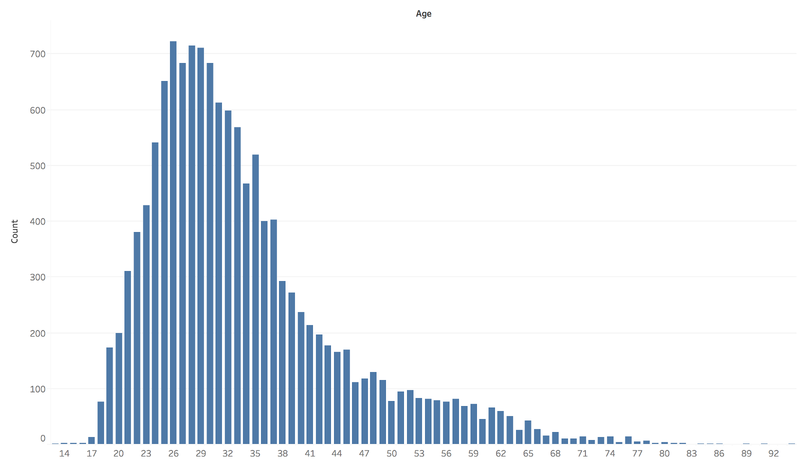 The age distribution of our registrants spans ages ranging from 13 to 94. On behalf of the entire AirSwap team, we thank you for your continued support throughout our token planning, development, and launch. We look forward to building this new ecosystem with you. Stay in touch with AirSwap by joining the AirSwap Official channel on Telegram and following us on Twitter @AirSwap.